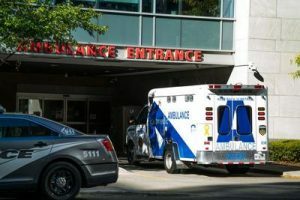 Cambridge, MA (July 13, 2018) – A Cambridge man was hurt in a hit and run that took place along Massachusetts Avenue on Wednesday. Cambridge Police were called to the Central Square area in reference to a hit and run on Wednesday just after 10:00 pm. Once on scene, they discovered that a man had been hit by a vehicle. The driver of the vehicle fled the scene shortly after hitting the man and was not present when police arrived to investigate. The man was transported to a hospital with non life-threatening injuries sustained in the incident. Police have been unable to locate the hit and run driver as of Friday. The investigation into the crash remains ongoing and the hit and run driver is expected to be charged once they are apprehended. A hit and run collision is both a frustrating and scary event. We all naturally expect that those involved in a crash will remain at the scene and cooperate with law enforcement. This is more than just a moral duty, it is legally required. However, in some cases, driver choose to flee before police can arrive. There are many situations in which hit and runs occur. The fleeing driver may be impaired, may not have insurance or may be the subject of some other legal trouble in which they do not wish to have contact with police. In these cases, they feel justified in leaving the scene and attempting to place responsibility for their actions on others. If you have been hurt in a Massachusetts hit and run accident, you need good legal representation. Even if the other driver cannot be found, you still have legal rights that must be protected. At the Law Offices of Jeffrey S. Glassman, our team of attorneys and staff have a vast amount of experience in negotiating and handling the complexities of hit and run cases. We know what needs to be done to obtain the compensation you deserve and we can help you as you go through this difficult experience. To discuss your case in a free consultation with one of our attorneys, please call our Boston office today at 617-367-2900.